The South African won the fourth stage after beating the leader Bevin and Luis León Sánchez, who tried again. Porte, Poels and Bennett tried it in the top pre-goal. Daryl Impey demonstrated in the fourth stage of the Tour Down Under why he is the current champion of the race. 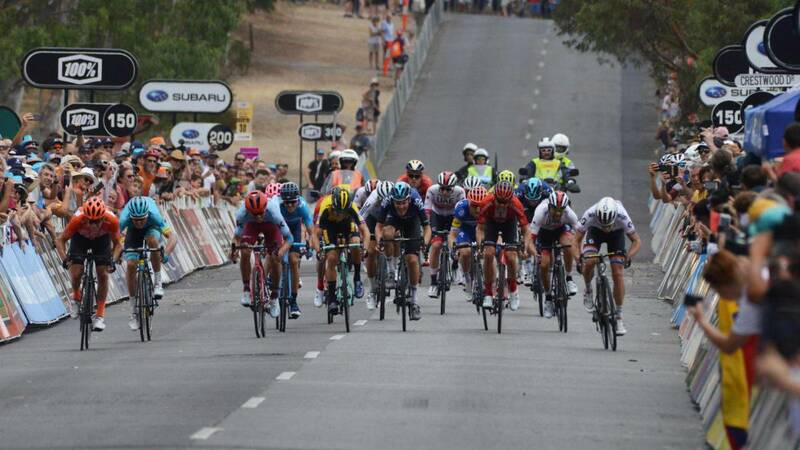 The South African of Mitchelton-Scott won the sprint at Campbelltown after beating New Zealander Patrick Bevin (CCC), who managed to retain the lead, and Spaniard Luis León Sánchez, who tried again with a distant attack on the last kilometer although it was again with the honey on the lips. The stage also allowed us to see the favorites in action for the first time, since Richie Porte, George Bennett, Michael Woods and Wout Poels tested it in the pre- peak before the fast arrival on Sunday at Willunga Hill. Departure A runner was formed 6 runners with Thomas De Gendt (Lotto-Soudal), Hermann Pernsteiner (Bahrain-Merida), Benoit Cosnefroy (AG2R La Mondiale), Miles Scotson (Gropuama-FDJ), Nicholas White (UniSA-Australia) and Jasha Sutterlin (Movistar) who came to have an advantage close to 5 minutes over the peloton. White and De Gendt split the points in the intermediate sprints before the cyclists of the escape moved 20 of goal in search of the victory of stage before the pursuit of the peloton and Pernsteiner, Scostson and Sutterlin put the team in trouble, although they were hunted to 6 of goal. Then they reached the climb to Corkscrew, where Michael Woods, Richie Porte, George Bennett and Wout Poels opened a gap with a group of 19 riders after splitting the , although they were hunted two kilometers from the finish. This group would play the victory on arrival at Campbelltown where again Luis Leon sought victory with a distant attack in the final stage although he was overtaken by Patrick Bevin and South African Daryl Impey, current champion of the race, who asserted his top speed to take the win of stage and cut time for a Patrick Bevin who takes hold in the leadership of the general while Luis Leon Sanchez is already third in the table. This Saturday, a favorable day for the sprinters with a distance of 149.5 kilometers between Glenelg and Strathalbyn.